Kapok is a renewable resource that is only wildly grown in tropical forests. The wood of the kapok tree is not particularly interesting for the timber industry. 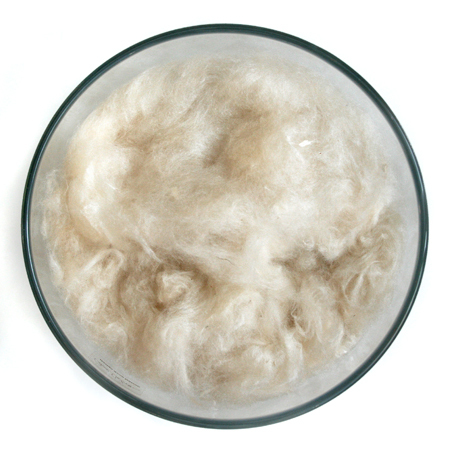 The Kapok fiber is a hollow fiber with a large air inclusion. This makes the fiber very light and insulated. Moisture is not absorbed thanks to its natural wax layer. The kapok fiber consists predominantly of cellulose and is therefore extremely unhealthy for vermin and mites. Pure plant fiber from Kapok tree, high self-cleaning power, from wild growth.